Thanks to the 68 players who took part in my Alpaca Farm quiz on Russian & Soviet leaders. Congrats to CurryA for winning, and to LaudermithM for taking the runner-up spot. The questions, answers, stats, and comments follow; below that are some basics about the various leadership positions that have existed in Russian history, along with the important people who occupied them. I also included my pre-game prediction for percentages. Many of them were close, but a couple were way off. How much do you know about leadership throughout Russian history? Here’s your chance to find out. A quick usage note: the wording of Soviet titles changed frequently. I’ve combined them into two categories: “General Secretary”, usually seen as the leader of the U.S.S.R., and “Premier”, the head of the government, more of an internal role. 1. Perhaps trying to distract his countrymen from the approaching Y2K meltdown, who announced his resignation as Russian president on December 31, 1999? 2. This 13th-century hero is often considered the most influential figure in Russian history. Name this Grand Prince of Kiev, a saint in the Russian Orthodox Church and the subject of a 1938 Sergei Eisenstein film. 3. Name one of the two men who served as “Minister-Chairman” of the provisional government of 1917. Only one person responded with Lvov; the rest went with Kerensky. 5. During the “Time of Troubles” (1598-1613), three men claimed to be the long-lost younger brother of the late Tsar Feodor I. By what name are these pretenders collectively known? 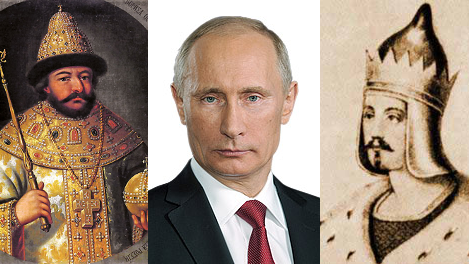 6. Who was the first man to claim the title of Tsar of All Russia? A more correct English translation of his nickname, grozny, is “inspiring fear”. 7. The positions of Premier and General Secretary were often held by two different people, but on three occasions, a single man held both titles simultaneously. Name two of these men. Note: Even with my usage note, this turned out to be a bad question, and I should have thrown it out. For one, Lenin, although certainly in charge of the young Soviet Union, was never technically General Secretary. I could have been more explicit. My apologies to anyone who was confused by this question. MCW: GORBACHEV and/or BREZHNEV were on almost all of the wrong responses. 8. 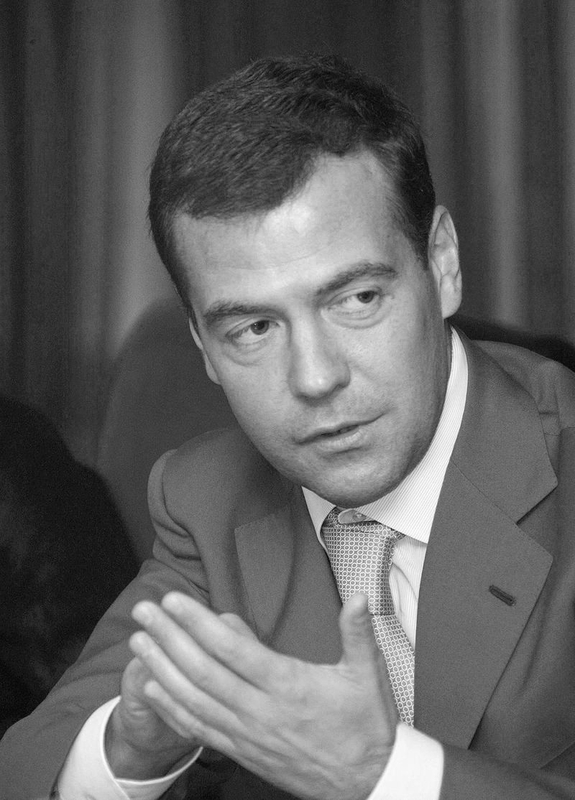 This successor to Leonid Brezhnev – and planner of his funeral – became the first KGB chairman to accede to the position of General Secretary. 9. His 14 years as Premier was the longest of any tenure in that post. Name this man, who died soon after his 1980 resignation. 10. Catherine the Great was actually the second empress by that name. Catherine I, who ruled alone from 1725 to 1727, was the widow of what man? 11. Who is the man in this photograph? 12. The three 19th-century Tsars known as The Blessed, The Liberator, and The Peace-Maker, in that order, shared what name? I’ll be updating this over the next day or so; if something you’re looking for isn’t here now, come back later! Rurik (ruled 862-879) was the first Prince of Novgorod. His descendents – collectively, the House of Rurik – ruled progressively larger territories for more than 700 years. His successor, Oleg the Seer (879-912), began the first expansion when he founded the state of Kievan Rus’ in 882. Saint Olga (945-963), the widow of Ivan I, became the first female ruler of Kievan Rus’ when she served as regent for her son, Sviatoslav I (the Great). In 1169, Kiev was overtaken by the Grand Duchy of Vladimir, another branch of the House of Rurik. Easily the most notable Grand Prince during this time was Saint Alexander Nevsky (1252-1269), who was immortalized in Sergei Eisenstein’s 1938 film. He conquered territory in Europe and made peace with the Mongols’ Golden Horde. A new vassal state centered around Moscow during Nevsky’s time became more prominent; in 1331, Ivan I Kalita subsumed the Vladimir duchy under the Grand Duchy of Moscow. Ivan III the Great (1462-1505) finally defeated the Golden Horde, which led to a quick expansion of territory. His grandson, Ivan IV the Terrible, named himself the first Tsar of All Russia in 1547. After Ivan IV died in 1584, his son, Feodor I, took over. But Feodor died in 1598 with no heirs, leading to a succession crisis called The Time of Troubles. Feodor’s brother-in-law, Boris Godunov, was elected tsar by the parliament. Boris had trouble dealing with a famine, and a series of three pretenders known as The False Dmitriys stirred things up. Each claimed to be the younger brother of Feodor I, who had died in 1591 at age 9. The Troubles continued until 1613, when Michael I Romanov was elected tsar, establishing the Romanov dynasty. Sophia (1682-1689) was the first acknowledged female ruler in this era; she seized power as regent over her younger brothers. After she was forced to live out her days in a convent, those brothers, Ivan V and Peter I the Great, shared the throne until Ivan died in 1696. Peter declared the Empire of Russia in 1721. It says that Feodor I died in 1591 and 1598.